The Rose of Tralee International Festival celebrated 50 years in 2009, and is one of Ireland's longest running festivals. It is based around the selection of the Rose of Tralee, an international event that encompasses young women of Irish descent from Ireland and around the world. Tralee Aquadome is one of Ireland's largest and most modern indoor water leisure facilities incorporating a free form leisure pool, waves, rapids, water slide and sauna suite. An outdoor adventure play area with crazy golf and model boats has recently been added. 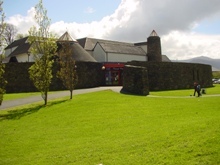 Kerry the Kingdom Museum at the Ashe Memorial Hall is the ideal starting point for tours of County Kerry. 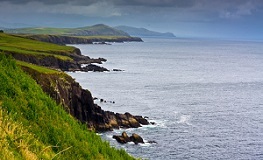 It consists of 3 superb attractions which tell the story of Kerry and Ireland over 8,000 years. Siamsa Tire, The National Folk Theatre of Ireland, Theatre and Arts Centre operates as both a producing and receiving house throughout the year. From May to September the National Folk Theatre produces a Summer Repertory Season providing visitors to Tralee with nightly performances.